(Editor's note: I'm back from my month-long social media and blog hiatus, and what better book to share the day after Independence Day here in the U.S.?) 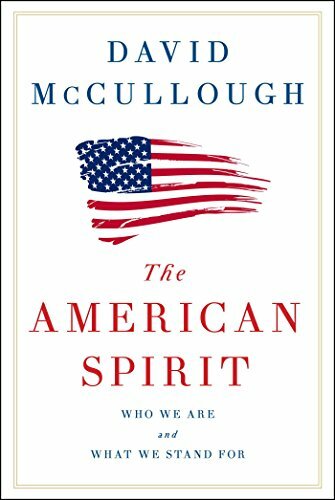 Historian David McCullough is a beloved figure in America, taking us as he has on so many journeys through the past with inventors, presidents, and key figures in our history. His voice resonates, as well, since he narrates many television programs and his own audiobooks. 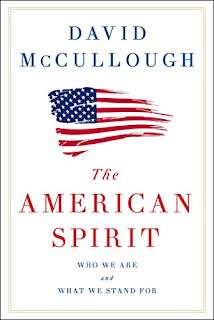 But his latest work, a collection of speeches called The American Spirit: Who We Are and What We Stand For, is a surprise...one well worth obtaining for your speechwriting bookshelf. Of course, it's a great read (or listen) in its own right. But The American Spirit also brings strong advantages to the speechwriter willing to look for them here. It will give you a sense of what one speaker's lifetime of speeches looks like, at least in part, taken together--and how they fit together. That's important if you take your task of writing speeches as more than one more speech, and more like a progression, particularly if you work for one key speaker. And it serves as an example of how to speak about one topic--in this case, America and its spirit--over time and over the course of many speeches. I promise, you won't find it repetitive. Jefferson was thirty-three, tall, six foot two, slim, reserved, brilliant and homesick for his wife and child and this green mountaintop. But there he sat in a Windsor chair in the front parlor of his two-room rented quarters on the second floor of a brick house at the corner of Seventh and Market Streets. There he sat through sweltering Philadelphia summer days, working at a portable writing box of his own design. He had no library at hand, no supply of books to draw upon, this most bookish of men, and he needed none because, as he later explained, he wanted only to say what everyone already knew. That's a paragraph that earns its keep. More like that, speechwriters: taut, active, and laden with images that don't require slides. And symmetrical: That writing box pops up again later in the speech, when you least expect it. It's one of McCullough's favorite things to do in a speech, and one of many devices you can copy. Enjoy this fine collection--and spring for the audiobook as well, so you can hear McCullough reading these gems.